“Domenico, Domenico I found another burnt spoon”. In a sobering and quivering voice, my mom calls to tell me that she has found yet another burnt spoon in the house. I feel like the air has been quickly sucked out of my lungs, and my heart starts racing. Here we go again. My youngest brother has been struggling with an opioid addiction for the last 12 years. Like so many others, he began popping oxy’s , only to become quickly addicted and enslaved to the poison that continues to ruin his life. By now we have mostly come to terms with the disappointment of relapse. The pain of which is something those of us with a family member struggling with addiction have painfully learned to deal with. The burnt spoon has become the albatross of my family. It is a dark and macabre symbol of hopelessness. 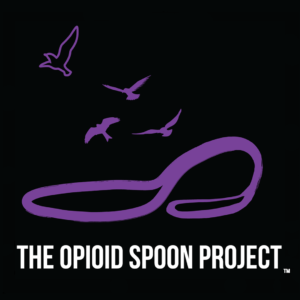 The burnt spoon sculpture (Purdue) embodies the pain I have felt dealing with substance use disorder in my family. 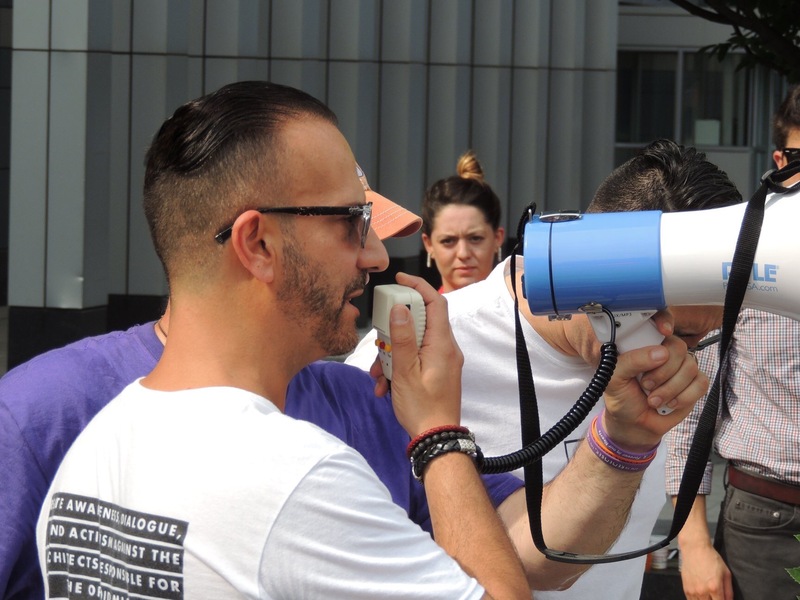 The road to recovery is long, tedious and at times full of despair; and like so many families in a similar position it is a road not well understood. Many people do not even realize that opioid addiction is a disease. That the addiction actually changes the chemical composition of the brain. 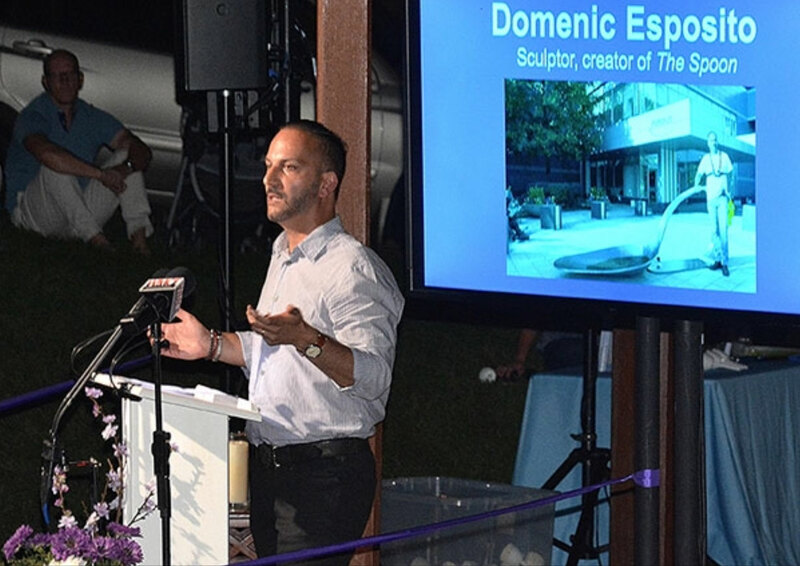 This sculpture intends to bring awareness and accountability to the architects of this disease that has claimed far too many lives. This epidemic transcends race, income level, creed or religion. It does not discriminate. And unlike many other diseases that affect us, money does not buy your survival. Writing a large check so that your child can be admitted to a fantastic rehab hospital does not increase your chance of making it through. I have spent over a decade trying to help my brother, only to have him end up in jail. But, I tell myself, at least he is above ground. My family and I have tried everything possible in this fight. It is a battle with the odds stacked completely against us. Opioids have been and continue to be widely available in this country. Except for this drug, the pusher is not waiting on a street corner. Instead, they are dressed in a suit and working in an office. It is because of a few pharmaceutical companies and the over-prescription of opioids that our children are dying. It is all pathetically — and perhaps predictably — the result of corporate greed. The “blood-sucking vampire squid” as Rolling Stone magazine so aptly coined it. It has taken so many lives. The Purdue Spoon is a wake-up call for a society that supports corporate greed and enables big pharma. It is a symbol of solidarity for those struggling and those lost, and a warning for those not yet enslaved. It calls out “you are not alone.” I wish I had the answer and cure to end this horrific epidemic that has claimed so many lives. My only weapon is to increase awareness and hold accountable those who perpetuate this epidemic. Only then can we make any step forward in battling this disease. 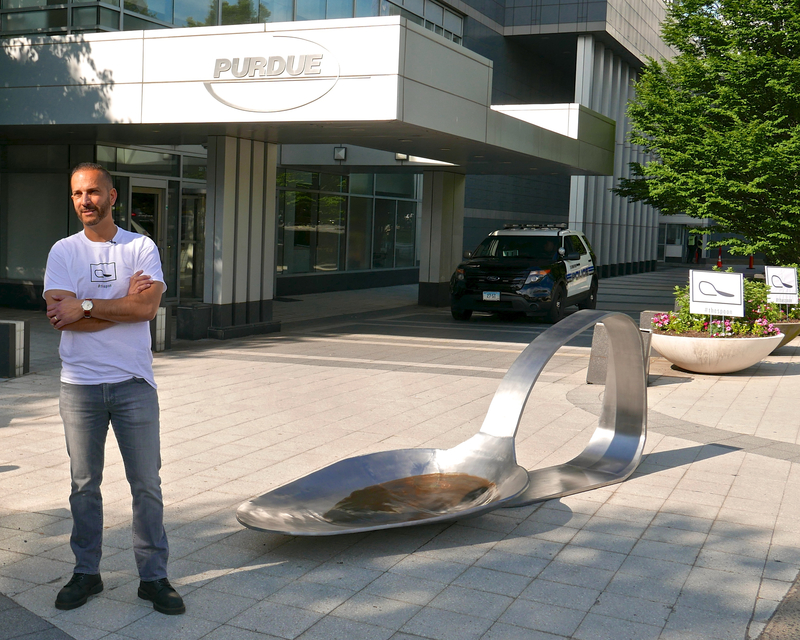 DETAILS: “Purdue Spoon” is constructed from heavy gauge steel, weighing 800 pounds. It measures 10.5 feet long, 4 feet wide, and 4 feet tall. The bowl of the spoon has a burnt metal patina.